When your business is confronted with the unexpected, it may be time to bring in an outside expert. Read newsletters on this topic. 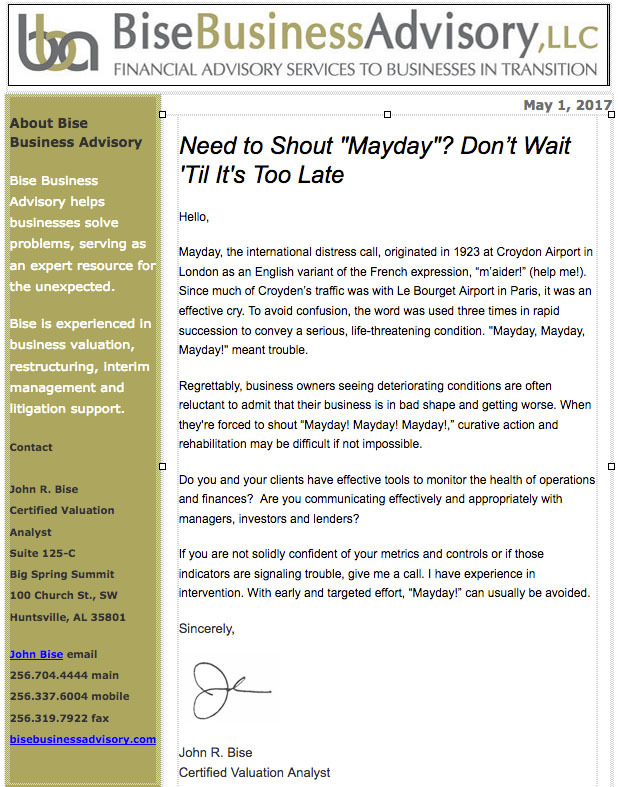 If your business is deteriorating fast and you feel the need to shout “Mayday!” then maybe we should talk. When the one who ran the business is suddenly gone, what do you do?